Column stacking cartons on a pallet creates vulnerable 'towers' that separate and fall over. An alternative is to interlock or “weave” the cartons together, which is less economical and causes underneath cartons to crush. Stabulon anti-slip sheets, available from Australian Warehouse Solutions , allow palletised goods to be column stacked with maximum stability. 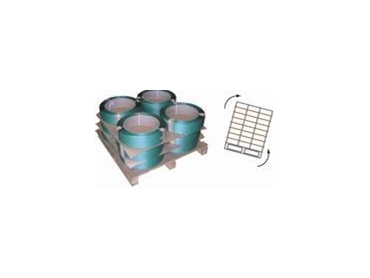 Stabulon anti-slip sheets distribute the load so the bottom cases support the upper tiers and prevent vibrations. Stabulon anti-slip sheets provide safety benefits, which are essential for worker safety when loading, unloading or handling palletised goods, especially when forklifts are used. The Stabulon anti-slip sheets are applied by hand and do not stick to the palletised products. The Stabulon anti-slip sheets grip on paper, cardboard, glass, plastic and varnished surfaces.